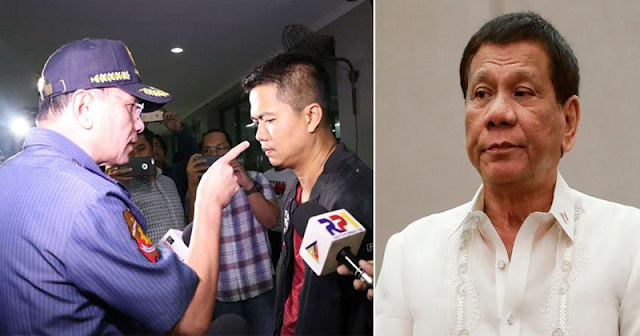 President Rodrigo Duterte expressed his support to National Capital Region Police Office (NCRPO) director Guillermo Eleazar who became viral after he confronted a cop who got detained for being involved in extortion activities. 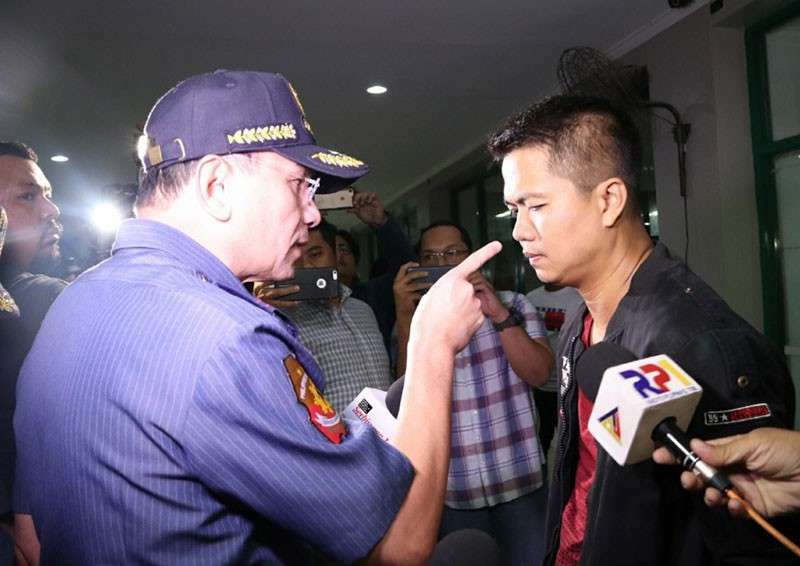 On Wednesday, Eleazar was captured in the camera while b*rsting in anger while talking to Police Corporal Marlo Quibete who got caught in an entrapment operation. In the videos, the head of NCRPO was seen pulling the hair and the clothes of Quibete several times while giving him a sermon. The disciplinary action made by Eleazar to the cop gained mix reaction from the netizens. Even President Rodrigo Duterte heard the news about Eleazar and said that what the NCRPO head did was just right for bad cops. Duterte said that Eleazar should not be worry because he would support him from the criticisms that the latter received. “Ilan na lang natitira na puro matitino na? Kaya itong pulis, everyday there’s always an idiot. Nahuhuli,” Duterte said in a speech during the Presidential Anti-Corr*ption Commission (PACC) anniversary in Malacañang. “Sir, sabihin mo kay Eleazar, okay ‘yun. Eh ano ba naman ‘yung ganun-ganon? Sabihin mo I have his back covered,” he added. In a press conference, Eleazar apologized for what he did, however, he denied that he’s trying to hurt Quibete who asked money and private properties from his victims. Eleazar said that he’s only trying to make an eye-to-eye contact with the suspect who’s trying to avoid facing him. “Alam mo, ‘yung angle ng camera kasi, akala mo sinasampal e. No! Tinitingala kong ganyan [iyung ulo], gusto ko makita eye-to-eye,” Eleazar said. “Humihingi akong paumanhin kung medyo hindi ako nakapagtimpi at nalabas ‘yung aking emotion,” Eleazar added. According to him, the cop deserved what he experienced from him because of the bad acts he committed. “Hindi ko sinampal ‘yan, hindi ko dinibdiban. Tinataas ko ‘yung mukha niya. Hindi ko rin sinabunutan, halos walang buhok nga, e, ‘di ba? Pero gusto ko makita ang mukha niya,“ Eleazar said. “Yung dinuro siguro, dinuro. Pero ‘yung sinampal? Hindi ko sinampal. Sinabunutan, hindi ko rin sinabunutan. Dinibdiban, hindi, pero kinuwelyuhan ko, tiningala ko ang mukha at dinuro-duro ko. E dapat lang, he deserves that,” he added. Eleazar also expressed his frustration over the cops who are not afraid to commit ext*rtion despite the PNP’s operation against ‘kotong’. “Hindi kami nagsasawa, hindi kami napapagod sa ginagawa naming ito, pero nakakainis na rin na paulit ulit na nakikita sa iba tapos mag papalusot parin,” he said. Quibete received a complaint from the live-in-partner of one of the sh*bu user that they arr*sted, saying that the cop is asking them money in exchange for the freedom of her lover. According to the report, Quibete and some of his colleague in the Eastern Police District (EPD) extorted a total of P80,000, motorcycle, and jewelry from the victim.